MainAll NewsInside IsraelIDF Commander Alon Discriminates Against Jews? 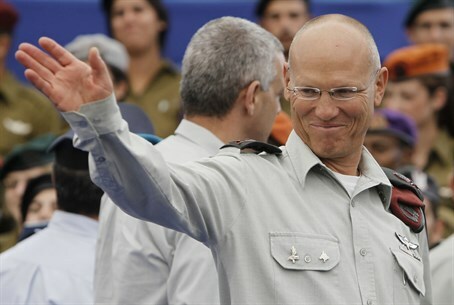 IDF Commander Alon Discriminates Against Jews? Jewish teen arrested breaching distancing order from Judea home; Arab woman in Ramallah suspected of terror let off for same breach. Two different residents of Judea and Samaria this week breached a distancing order issued by General of Central Command Brig. Gen. Nitzan Alon. The one, an Arab woman from Ramallah, had her order cancelled - the other, a Jewish teen from Gush Etzion, was arrested. The 17-year-old Jewish resident of Bat Ayin in Judea's Gush Etzion region was arrested Thursday night at the Gush Etzion Junction for breaching the order, which forbade him from being in Judea and Samaria - including his parents' home. The youth has been left wandering for roughly a month-and-a-half since the issuance of the order, until being arrested Thursday night for visiting his family in Bat Ayin. Attorney Naftali Wertzberger of the Honenu legal aid group is representing the teen, and notes a shocking discrepancy between the case of the 17-year-old Jew and an Arab woman living in Ramallah who had her distancing order cancelled by Alon this same week. The Arab woman refused to follow the distancing order, breaching it openly while accompanied by far-left Haaretz journalist Amira Hass who in the past has called for terror attacks, points out Wertzberger. "Only this week it was published that Nitzan Alon cancelled an administrative distancing order on an Arab woman from Ramallah apparently suspected of terrorist activities, who refused to honor the order against her," said Wertzberger. "By contrast, when it comes to a Jewish child the central commander abuses with a harsh hand, in unprecedented fashion." The attorney added "we remind Alon that these are the days of repentance (leading up to the Jewish holiday Yom Kippur), and call on him to fix his ways - to fight firmly against the enemy, and to stop harming our brothers." The case of different treatment for Jews comes on the heels of a landmark court ruling achieved by Honenu last Wednesday, which found that Attorney General Shai Nitzan has displayed "scandalous" bias against the political right by cracking down on nationalists while letting leftists and Arabs off the hook for blatant incitement to murder.